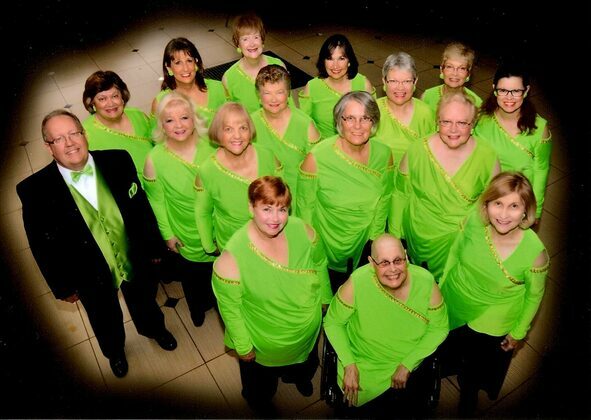 The St. Louis Chordinals has a long history of women's choral singing in St. Louis. The St. Louis Chapter No. 1, the original name of the group, was chartered on October 30, 1948 with the Sweet Adelines Organization and was the third chapter to charter. In June of 1976, the St. Louis No. 1 Chapter merged with the St. Charles Chapter and the two chapters adopted the name St. Louis Harmony Chapter. Some years later, in June of 1982, the current name was adopted and in 1985 the chapter moved its charter and became members of Harmony, Inc. The St. Louis Chordinals maintain a full schedule of performances throughout the year. The current roster consists of about 20 dedicated and talented singers. In 2009 the St. Louis Chordinals returned to the competition stage in Kokomo, Indiana as part of the Area 4 Competition and Convention of Harmony Inc. In 2010 and in 2012, the St. Louis Chordinals captured the Most Improved Chorus Trophy Award. In 2015, in Indianapolis, Indiana the St. Louis Chordinals earned their highest score ever in 30 years and qualified for the Silver International Chorus Competition in Verona, New York. In Verona, the St. Louis Chordinals again attained an even higher level by placing 2nd in the competition, missing 1st place by just 3 points! The St. Louis Chordinals is a non-profit organization whose purpose is to empower women through education, friendship, and a cappella singing in the Barbershop style.